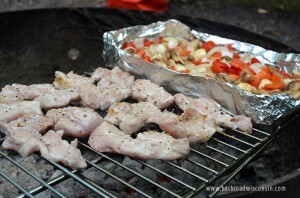 Boneless country style pork ribs are a great choice for the campfire. This fattier piece of meat is located at the end of the rib section and before the pork belly. Full of flavor and tender, these ribs take well to both to braising for a long slow cook or pounded thin for a quick saute. They also take to the grill quite well. To make the pork even more tender and to provide a buffer for the heat of the grill, I like to brine my riblets in a solution of salt/sugar. 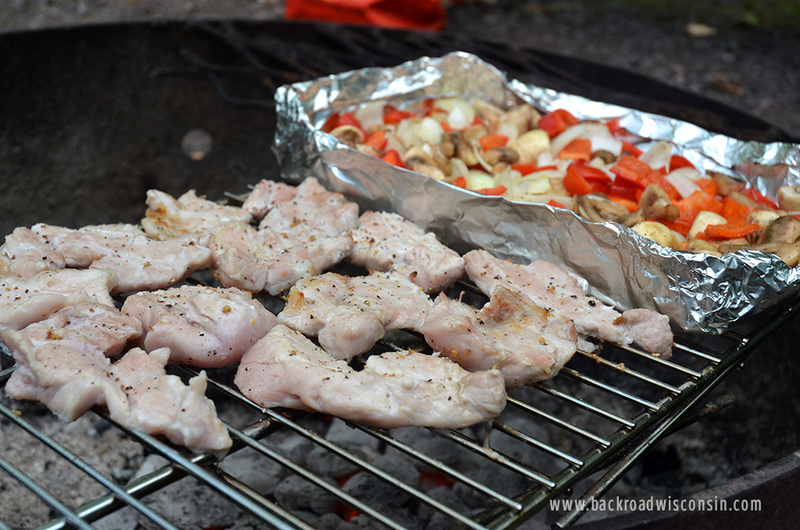 This adds even more moisture and helps prevent the pork from drying out on the uncertain heat of an open campfire. Do a little prep work of pounding out the meat and cutting into medallions before your trip and you’ll be the hit of the campfire at your next outing. 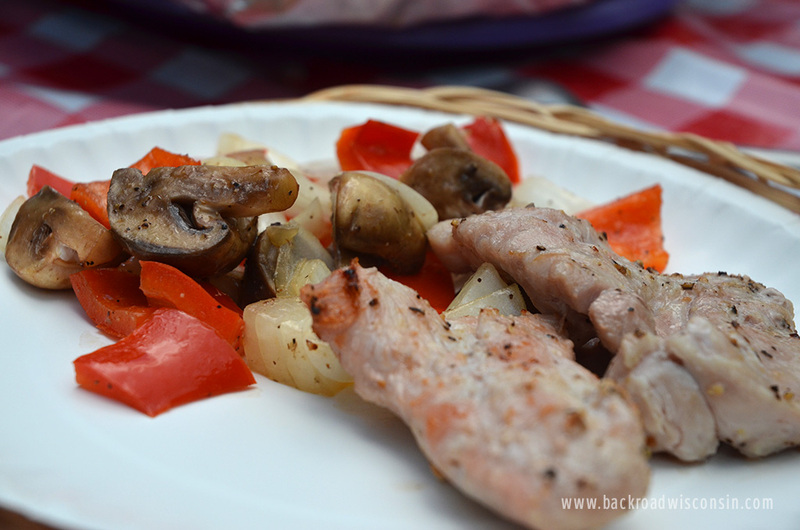 We served our pork riblets with sauteed vegetables. You can either steam them in a foil packet or grill them with butter, salt and pepper in an open foil pan. Either way, they are the perfect accompaniment to the pork. Depending on the thickness of your ribs, cut them in half lengthwise so they about one inch thick. Then turn on their side and pound them out until they are about 1/2 inch thick. Trim into medallions. If you are camping, do this ahead of time and put the pork into a gallon size zipper freezer bag. Half hour before grilling pour salt and sugar into zipper bag and fill with water until pork is covered. Allow to brine for 30 minutes. Prepare the grill so you have a medium high heat. Remove pork from solution and pat dry with paper towel. Oil the grate and place pork on grill. Season with pepper or your favorite BBQ sauce. Cook 2-3 minutes side depending on heat or until center of pork is a light pink.